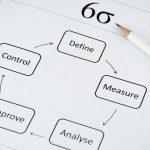 Six Sigma is a set of management techniques designed to improve business processes by considerably reducing the odds of defects. It was introduced in the 1980’s by Bill Smith, while working as an engineer for Motorola. To this day, he is considered the father of this process. While the Six Sigma method is a relatively new and revolutionary process, which keeps on expanding on a worldwide scale as we speak, the methodology used to define it can be traced back to the eighteenth century. 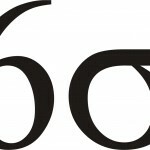 Simply put, Six Sigma is not a self-contained method, but rather a complete and diverse blending of quality management practices and techniques over the years. However, this shouldn’t be perceived as a weakness. 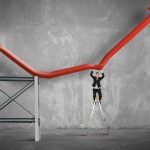 In fact, knowing that some of the methods and techniques found in Six Sigma have been successfully used throughout history should render this process quite tempting to try out. Let’s review a quick timeline containing the most important events that created the Six Sigma of today. 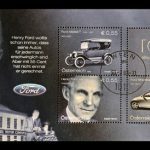 All reputed entrepreneurs out there know that Henry Ford was simply a master of automation, who wished for all his workers to be well-paid and share in the production of an affordable vehicle. As a result, he created the moving assembly line in 1913, completely breaking the mold for those times. In the context of the Industrial Revolution continuously blossoming, it was entirely necessary for only good automobile parts to be available to use right away, as opposed to workers having to sort through endless piles of parts to find one that actually fit. This required entirely new and distinct methods of testing and assurance that would ultimately render the automobile assembly process faster and more cost-effective, without compromising quality whatsoever. No longer was it lucrative to spend time on testing each individual piece, so Henry Ford foresaw the necessity of implementing an automation process, which he successfully did. In the mid-1920’s, Walter A. Shewhart introduced a brand-new data collection, display, and analysis form while working for the Western Electric manufacturing plant located in Hawthorne, Illinois. 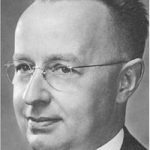 It probably contained the first known process control chart, and made possible the advent of the age of statistical quality control. The proposed control chart (download free template) required an inspector to keep tabs on the percentage of defective products in a time-ordered graphic format. As data collection progressed across the chart, it helped users understand the typical variation in the process, and separate it from the unusual variation. This helped identify when issues occurred, to assist in problem solving. More powerfully, it also identified new trends and shifts in the process, and allowed workers to prevent the problem from spreading further into the process and getting to the customer. This switched the role of the inspector from one which would define and sort the defects, to one which would monitor the stability of the process and identify when it had changed. Moving a little further in time, let’s take a look at how the Japanese were conducting their businesses. During this period, they were still struggling to make a name for themselves on an international level, but they were doing pretty well internally in terms of improving quality and manufacturing capability. Companies such as Toyota and Toshiba were focusing on two aspects of productivity, namely: eliminate defects and reduce cycle time. These efficiency gains were significant, so much so that they were acknowledged even by the competition. In contrast, with the ever-increasing productivity of the Japanese corporations, the U.S. corporations were still focusing on increased volume and maintenance of a lucrative market share, which was rendering employees less effective. In other words, while the Japanese were willing to progress with help from their employees, the U.S. were complacent, never progressing in their improvement methodology. With Bob Galvin in charge, Motorola started investing money in improving the quality of their products by mastering the techniques used by other major corporations. Those companies shared the new methodology named Six Sigma with their whole team, starting from workers, managers and even down to suppliers. Companies had to improve based on the ever changing expectations of their clients and the demands of the market. Moreover, they should understand that they had to focus on progressing continuously than targeting a particular quality level. After winning the Baldrige Award, Motorola decided to reveal their ideas to the world. Their methodology was based on the product specification, delivered performance and efforts spent on decreasing any existing defects. Soon afterwards, the whole process was modified by other companies to improve it. Currently, it’s quite unclear to tell what the future holds for Six Sigma. Will it merge into a Lean Six Sigma program? Will there be a new initiative called business or continuous improvement? Regardless, Six Sigma is a popular and effective technique, especially among major companies, and the fundamental tools will always be needed to solve problems and increase customer satisfaction.